Way back in August of 2008 I planned a trip to Bear Lake, Utah with my husband's family. While we were at the lake my husband and I collected many of the small shells that cover the lake's shores. 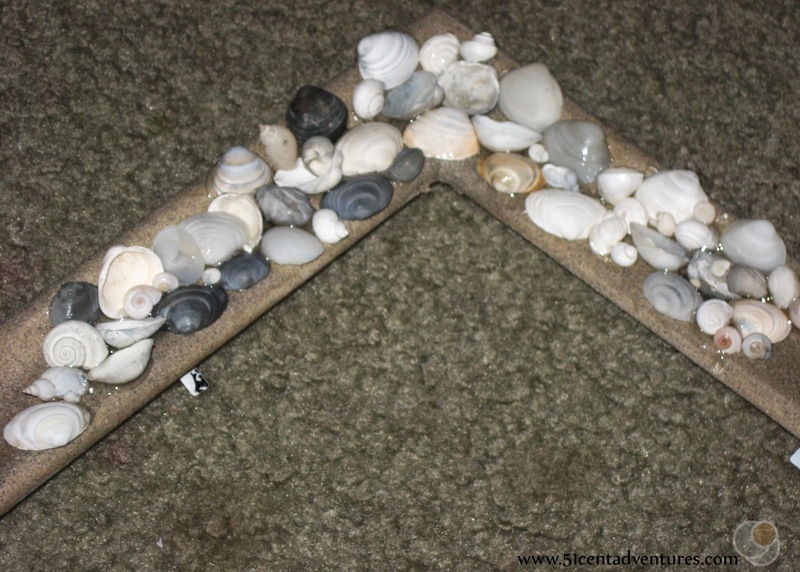 We had a plan to make a great Christmas present using the shells. 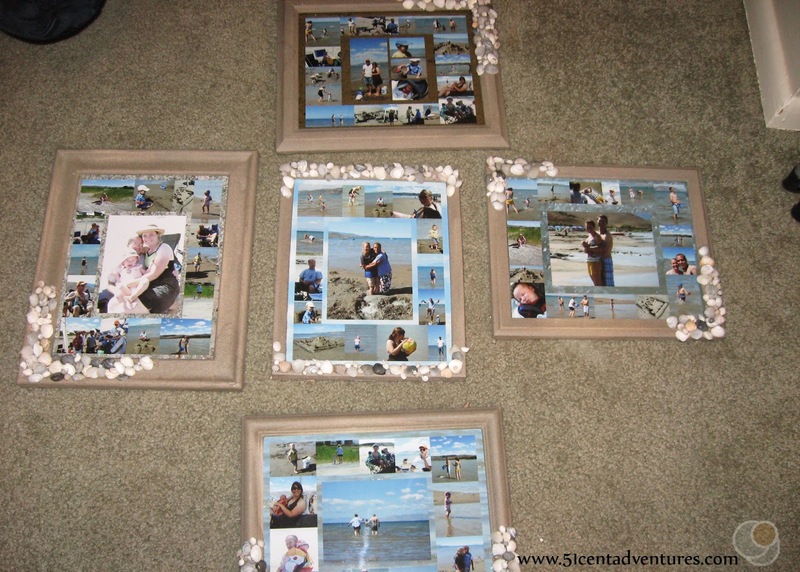 We would use the shells to decorate picture frames that held pictures we took of our trip to Bear Lake. 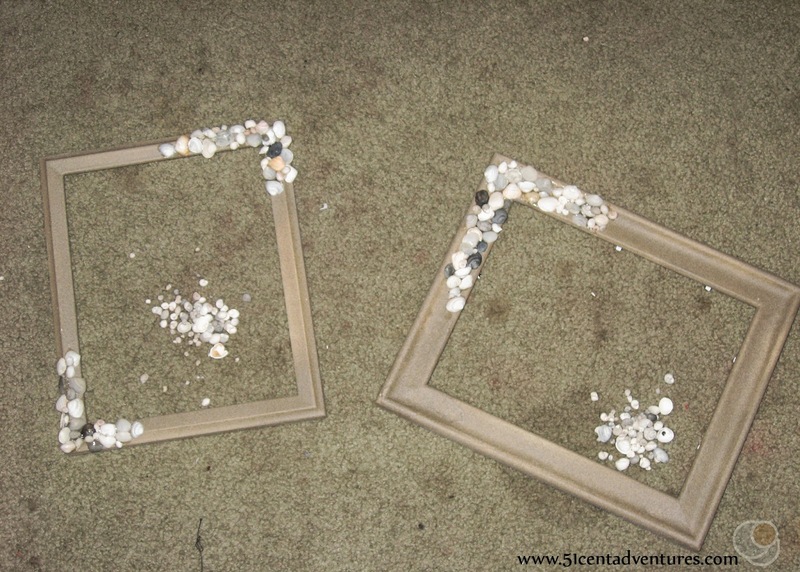 We worked on the picture frames during the cold months of December. 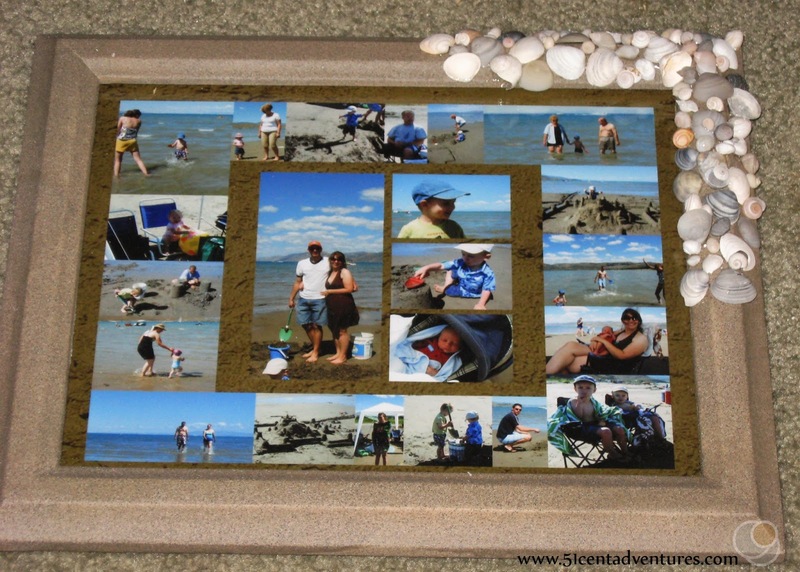 We made five frames and gave them out to my husband's parents and each of his siblings, we also made one for ourselves. Everyone loved the gifts. What surprised me was that no one was able to figure out how we got the picture frames to look like sand. I'd taken pictures of our process so I put together a little tutorial on my personal blog. I decided that since this is a really easy and inexpensive was to make a souvenir I should put the tutorial on this blog too. 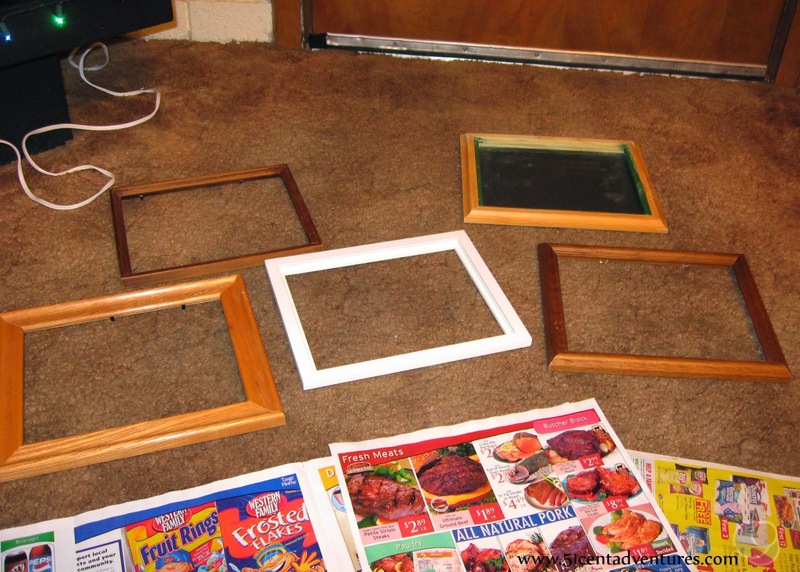 First we bought five wood picture frames at the local thrift store. The total cost for all five frames was under $5. We took the glass out of the frames and sanded the existing stain off of the frames. We sanded by hand with little squares of sand paper. After sanding we primed the frames with spray on primer. 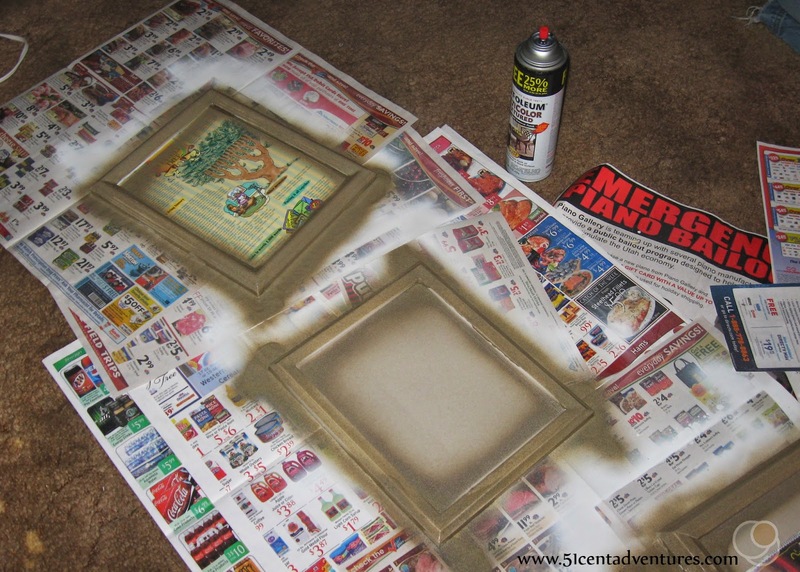 I can't remember the exact brand we used, but I know we used something similar to this type of primer. After the primer was dry we were ready to put the sand onto the frames. Here is the big secret, we used sand textured spray paint to make the frames look like they had real sand on them. I am so pleased with how that spray sand worked. I was hoping that the frames would look like they had sand on them, instead they looked like they were molded from sand. I think the cost of the spray was about $6 dollars. We looked for it at Micheal's, but couldn't find it there so we got it at Lowes. I was worried that the spray sand would get onto the backs of the frames, and make it difficult to put the glass back into place. 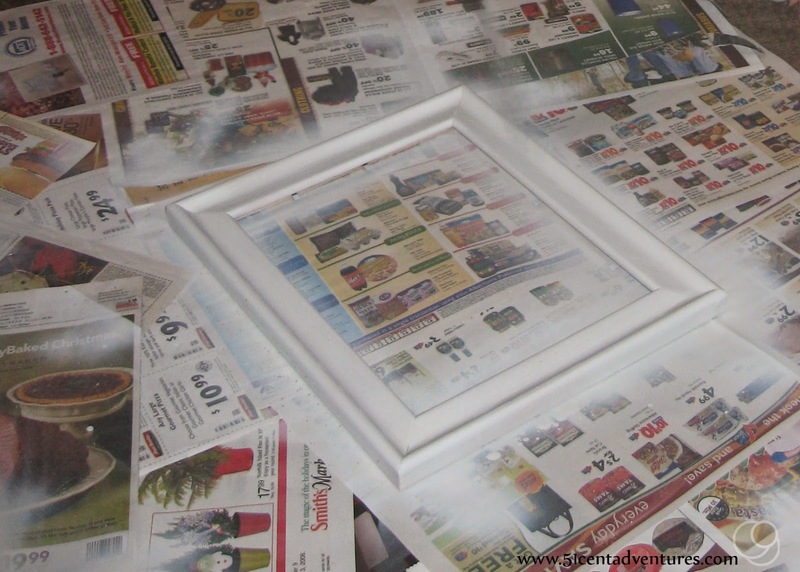 So before we sprayed the frames we cut up cardboard from cereal boxes and placed the cardboard where the glass would go. It took a little bit of extra time to do that, but I'm glad we did it because the spray on sand behaved just like read sand - it got every where! 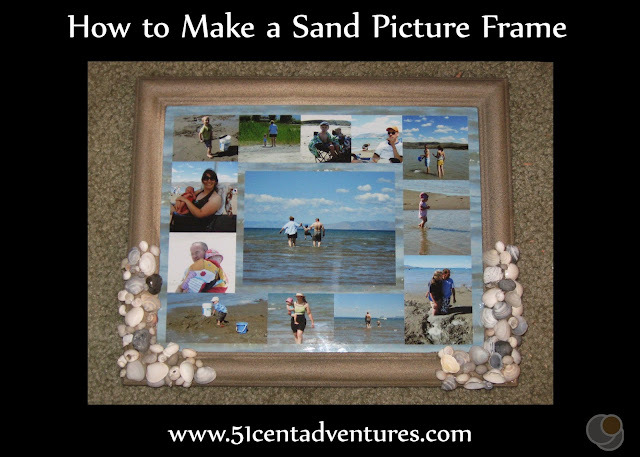 I loved how the frames looked like they were made out of sand. This project was going better than I had hoped. Next we glued the shells on to the frame. Months earlier, at Bear Lake, we had picked out individual shells that we thought were pretty. We had also grabbed 2 handfuls of "crappy" shells to use as filler between bigger shells. Even most of those crappy shells were pretty. Originally we planned on using hot glue to attach the shells, but we had concerns about how well that glue would bond the shells to a rough surface. We ended up buying a glue called E6000 glue. It had warnings that it was known to the state of California to cause cancer so we figured it had to be a good glue. It was! It didn't dry as fast as hot glue so we could work with it longer. Also it wasn't hot so we could get it on our fingers without burning them (though according to the label we probably will have kidney damage). The glue dried clear so it didn't distract from the shells. I loved using this glue, and I still use it all the time. The only thing left to do was to add pictures. I had previously created the collages in photo shop. I made each one different. We printed them out at Smith's Marketplace for about $2.00 for each 8 X 10 picture. This was such a fun project to do after work. We worked on it a little bit every night in December. 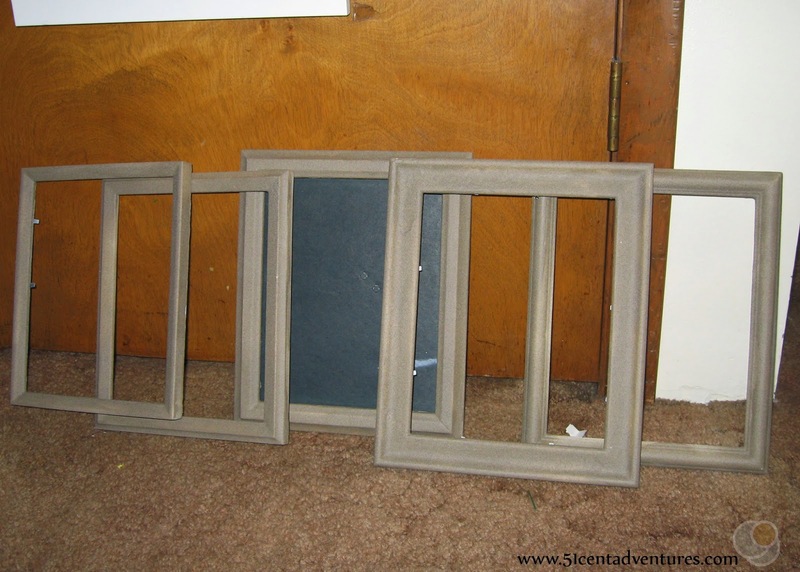 I think the total cost was about $35 for five picture frames. *This originally appeared on my private blog on December 30, 2008.